Morwhenna. The Creative Adventurer: Hello Inspiration. Do come in! Inspiration is like a muse to me and I see her dancing around in my mind bringing me gifts. Snippets of conversation, articles, books, new places, being in nature, pinterest, daydreaming and having recently been on a Shamanic Journeying course – Shamanic Journeying too. That’s just a few of a very long list. Maybe saying 'Inspiration is Everywhere' would be a neater way to say it. Hello Inspiration! Do come in! if you know who took this picture. Thank you. Sometimes she delivers these gifts as light as a cloud gently floating across my mind, so gently that I might miss her. Or she’ll be a butterfly who will flutter around for a while, land gently, then flutter off again. Other occasions she’ll be like a puppy and will bound around and keep coming back until I take her out to play, and finally she might visit like an electric shock. Boom! She’ll also visit at different times of the day, although I have noticed she tends to visit more when I let my mind wander and the front door is open (which is yellow) it’s like an invitation to say ‘Hey Inspiration, fancy a cuppa tea and a chat?’ and in she comes. Inspiration generally brings along her friend Ideas – so I always make sure I've an extra teacup, well a mug actually, for her. Ideas, now she’s a bit of a whirlwind and moves SO FAST! Anyway back to my dear friends Inspiration and Ideas. They are FAB! although sometimes they don’t show up and that’s when I know I’m stuck. Or I’m trying too hard and my mind is closed. The other friend who’s missing at the moment from this picture is Action. 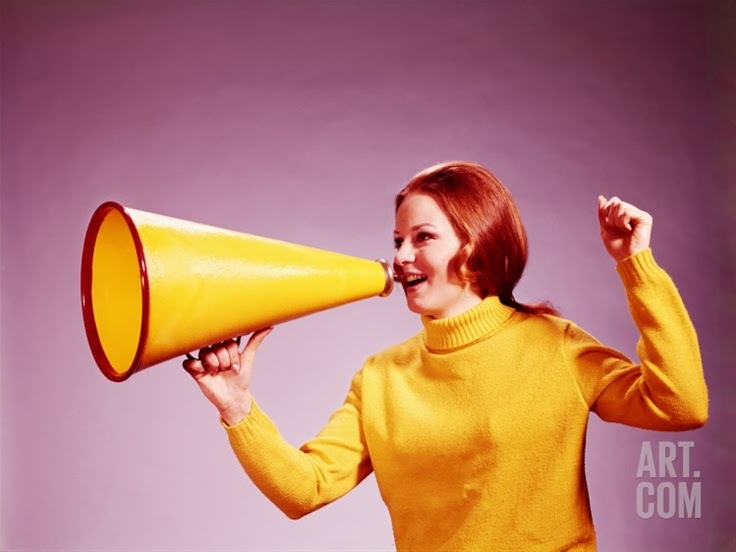 After Inspiration and Ideas have turned up, sometimes Action doesn't get the invite, so I’ll either have to send another or get the megaphone out. Once she turns up I have the power trio. Inspiration, Ideas & Action. And it’s ALL GO. Actually they sound like superheroes don’t they. And of course as we start down the yellow brick road, we’ll meet other friends too like Motivation and Determination, but for now Inspiration & I are hanging out. What’s with the yellow you might ask? Well, I’m currently developing some Creative Juice Shots and yesterday was researching yellow in more detail. 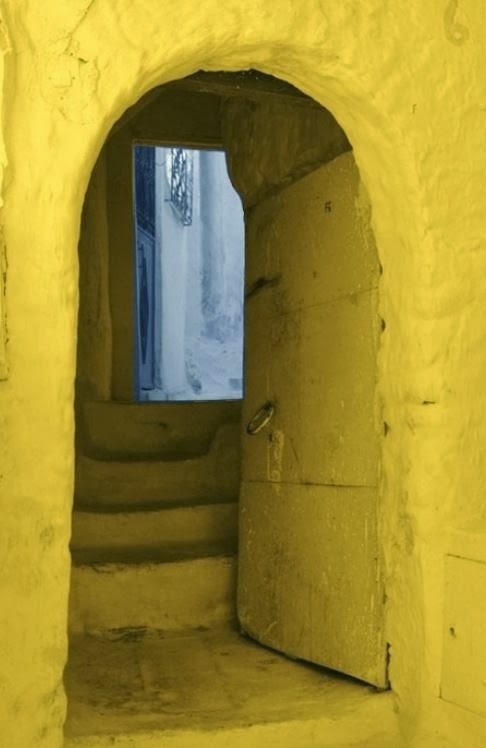 Yellow is linked to the mind, creativity and Inspiration. So Yes, Inspiration wears yellow. Go for a walk outside. Let your mind relax and as you walk really LOOK at what you see as you go. Look at the clouds, any shapes? look at the colours of the plants or the cars or the road signs. Try engaging all you senses. Go to your bookshelf/library/bookshop and choose a book at random. Look at the cover, the title, open the book at random and look at the words on that page...what does this spark? Dance! (I’m taking part in Nancy’s Dance a Day in March!) Then write down the first three words that come to your mind once you stop. Google the words and see what comes up. Who inspires you? Write a list and then look at what it is about them that inspires you? Read more about them and think about how might you invite some of that energy/ideas/action into your life? The KEY is keeping your mind OPEN & to ALWAYS have a notebook & pen with you to jot things down. ;-) I'm old school like that. So use an ipad/phone/voice message - whatever works for you. So remember, as I said at the beginning - Inspiration is Everywhere - if you open your mind to her and invite her in.